The United States continues to carry out airstrikes and deploy troops in Iraq and Afghanistan, despite claims by President Barack Obama that he put an end to the American wars in those two volatile regions. "We've ended two wars," Obama declared on July 21 while attending a Democratic Senatorial Campaign Committee at a "private residence" in New York. Yet, on Wednesday, the New York Times reported that American warplanes the prior night carried out airstrikes in Taliban-held territory around the Kunduz airport in Afghanistan. Following the aerial offensive, American Special Forces, accompanied by Afghan commandos, made their way into the city. For its ongoing military campaign in the Middle East, American journalist Glenn Greenwald called the United States an "out-of-control empire," and labeled Obama a "hackish propagandist." "How do you know when you’re an out-of-control empire? When you keep bombing and deploying soldiers in places where you boast that you've ended wars. How do you know you have a hackish propagandist for a president? When you celebrate him for 'ending two wars' in the very same places that he keeps bombing." Greenwald also points out that US military actions are going on without a declaration of war from Congress. "Whatever else one wants to say about Iraq and Afghanistan," he writes, "one cannot honestly say that Obama ended the wars in those countries. 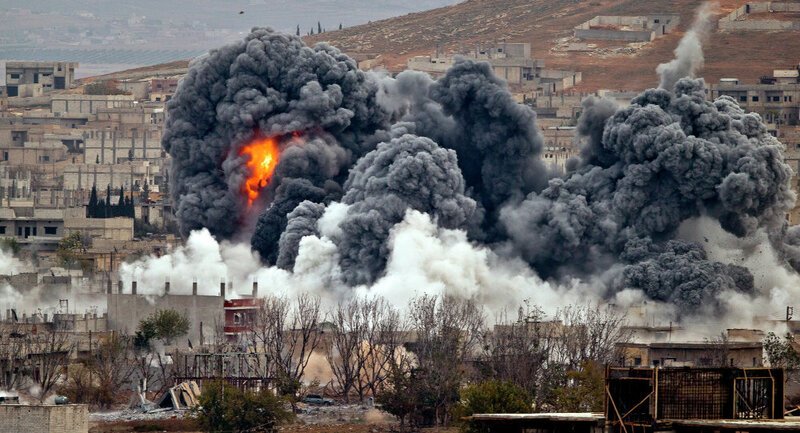 The US continues to drop bombs on both, deploys soldiers in both, kills civilians in both, and engages in a wide range of overt and covert force, all without a shred of Congressional approval."